Family Night Out is a family event held at a restaurant or activity park in the evening each month during the school year. Look to your Hawk Talk, this page, or the PTA bulletin board for the date, time and venue. Each sponsor donates a portion of Hilburn receipts to PTA for funding various programs at school. These events are organized by Heather Huffine, our VP of Family Involvement. Thank you to our sponsoring businesses! 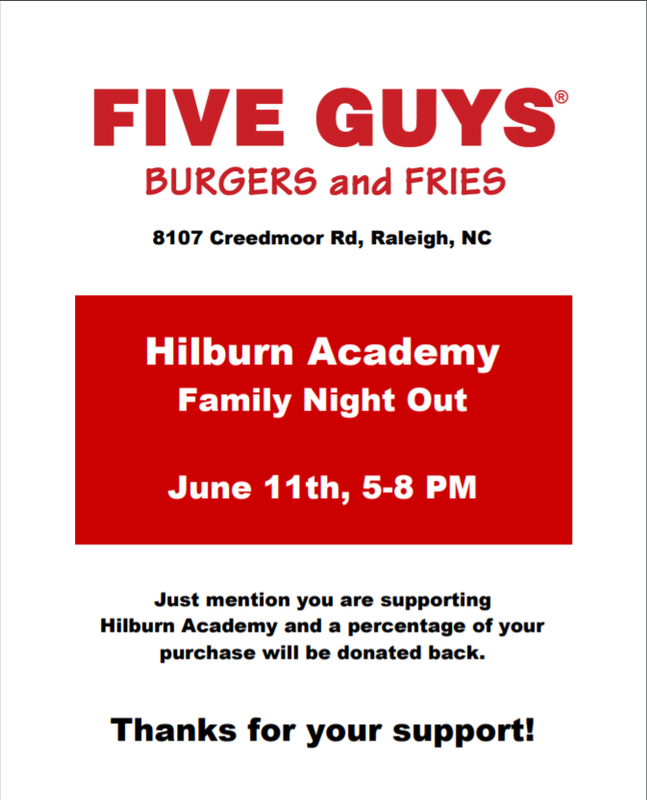 from noon - 9:00 p.m.
Meet up with Hilburn friends at Five Guys to visit and enjoy a burger and fries. 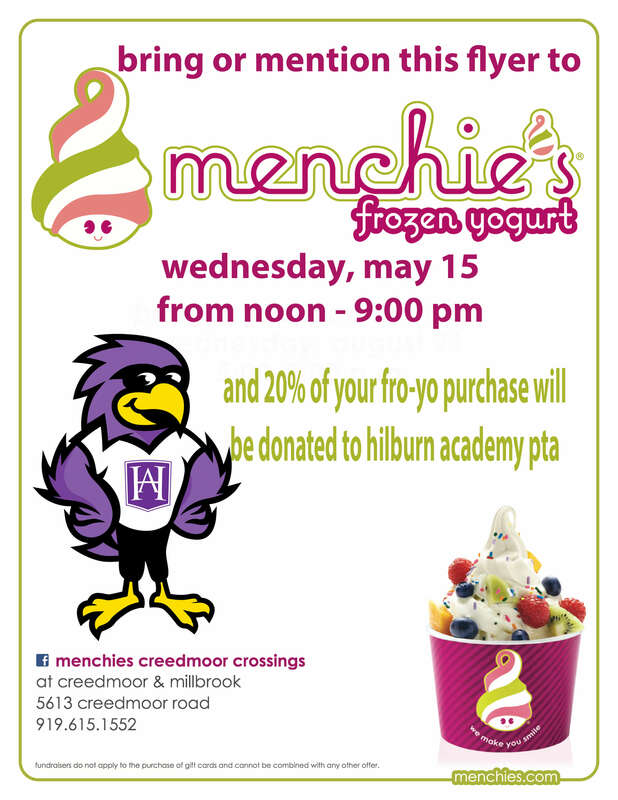 Just mention you are supporting Hilburn Academy and a percentage of your purchase will be donated back. ​Thank you for your support! Come enjoy a meal with friends and help up meet our goal. Add your name to the "Commit to Eat" list online to get a timely reminder email and share. We need 60 commitments in advance to collect a donation for Hilburn projects. It will be great to get together with Hilburn friends. When you purchase your meal mention Hilburn Academy PTA and follow the restaurant's instructions to receive 15% of your meal's price donated back to Hilburn Academy PTA. Come out to spend time with your friends, enjoy a meal, and greet the Chick-fil-A mascot. Please say you are supporting Hilburn Academy when you place your order and a percentage of your purchase will be donated to Hilburn Acdemy PTA to support programs at our school. 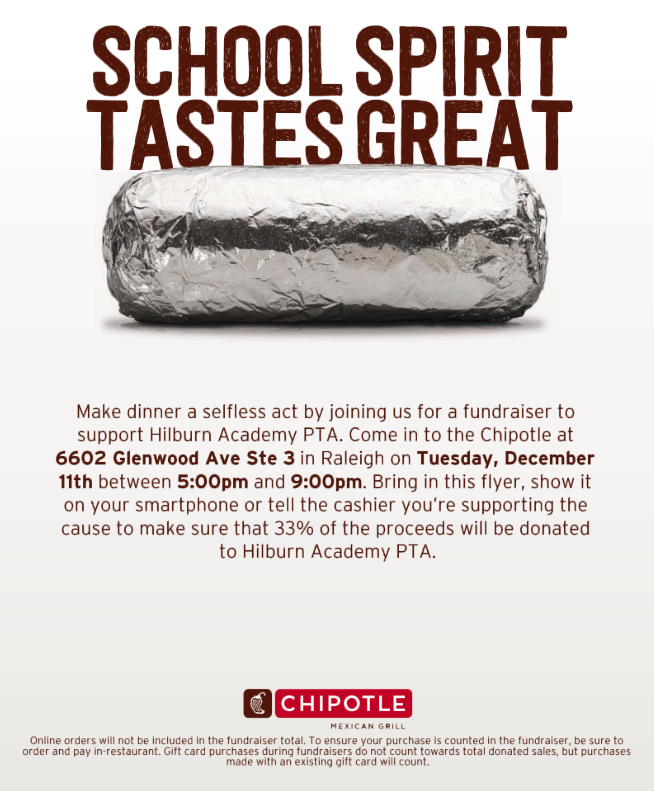 ​Mention you are supporting Hilburn Academy or show this flyer when you place your order and 33% of the proceeds will be donated to Hilburn Academy PTA for programs at your school. Bring the printed coupon for $3 off any entree. Coupon valid for 4 days. To accommodate busy Hilburn Hawk schedules, you can visit Moe's when it's convenient for you Wednesday through Saturday, January 9th-12th. *One coupon per family, excludes kids meals, single tacos, and super kingpin. We'll send home Moe's coupon flyers with students and plan to hand out additional coupons in afternoon carpool that week. 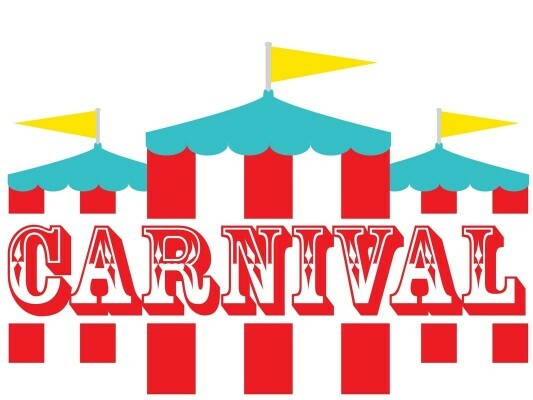 Friday, March 15th from 5 p.m.-10 p.m.
Saturday, March 16th from 12 noon-10 p.m.
Half the money raised during this time goes to your school. Bring your family, friends, neighbors and see who can knock down more pins! Take pics of your visit and post on Instagram @BuffaloeLanes and the post with the most likes will receive a family fun pack!